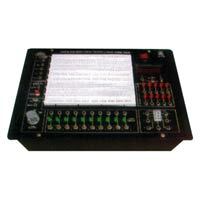 Fixed power supply : +/-5v, +/- 12v/1A. 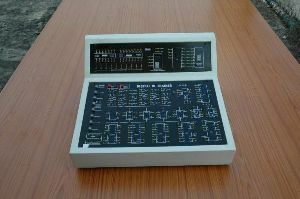 Manual Pulser : One independent buffered bounceless manual pulser (useful to freezing the action of each stage of the counter after every clock pulse). Logic Level Indicators : Eight independent buffered logic level indicators for High/low status indication of digital outputs. 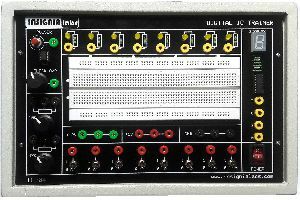 Logic Level Inputs : Eight independent buffered logic level inputs to select high/low TTL levels, each with a LED to indicate high/low staturs and termination. Patch Cords : Set of 20 assorted coloured multi-stand wires with 2mm stackable plug termination at both ends. 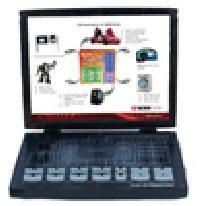 Power Requirement : 230 ±10%V AC, 50Hz, single phase. 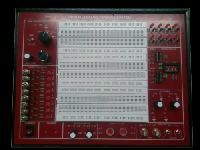 pll trainer board study of pll digtal pll analog pll . 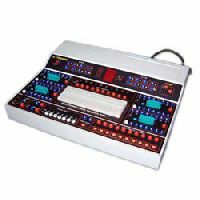 Features:- Basic trainer for students to perform more than 15 basic experiment of operational amplifier. 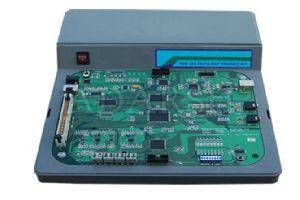 Glass Epoxy PCB used as front panel of 300mmx220 & mounted on light weight shock proof plastic cabinet. 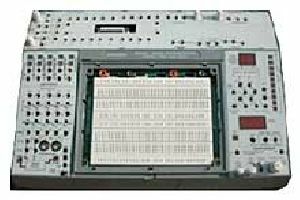 On board power supplies, function generator & Bread Board mounted. 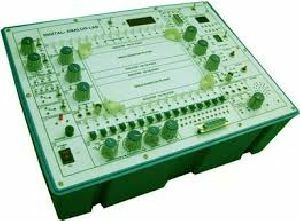 Supplied with set of components & connecting wire. 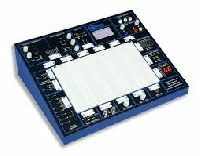 Basic trainer for students to perform more than 15 basic experiment of operational amplifier. 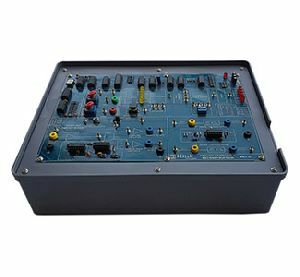 Glass Epoxy PCB used as front panel of 300mmx220 & mounted on light weight shock proof plastic cabinet. 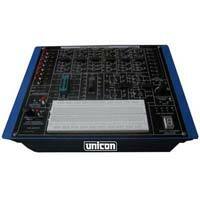 On board power supplies, function generator & Bread Board mounted. 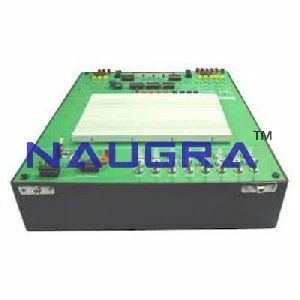 Supplied with set of components & connecting wire. 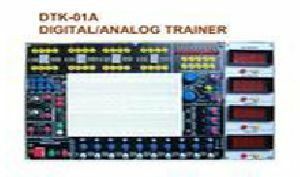 Digital Electronic Circuit Trainer (Bread Board Model) Features : 1. 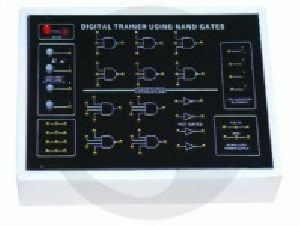 Basic trainer for students to perform more than 15 basic experiment of operational amplifier. 2. 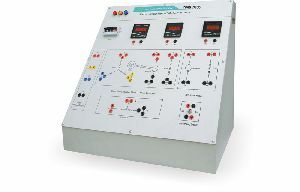 Glass Epoxy PCB used as front panel of 300mmx220 & mounted on light weight shock proof plastic cabinet. 3. 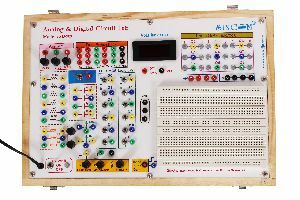 On board power supplies, function generator & Bread Board mounted. 4. 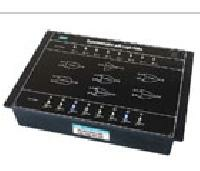 Supplied with set of components & connecting wire. 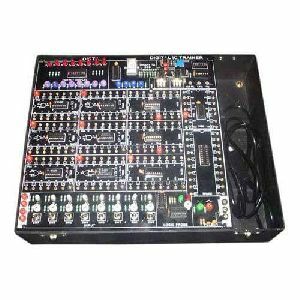 Complete with Regulated power supply of + 5V/500 mA Provided with 4 Logic input switches (bounceless) 4 LED Indicators (Buffered) Functional diagram of • 3 Input NAND – 6 No. • 4 Input NAND – 4 No. • 1 Input NOT Gates – 4 No. 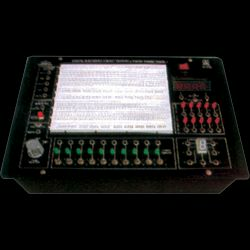 is printed on board • 12 Interconnection Leads and User’s Manual is provided.